What does a Lorenzo Semple Jr. Batman script look like? What does it tell us about the contributions he made to the series? His influences in setting the tone for the series? The things he tried to set up that didn’t make it to the screen? 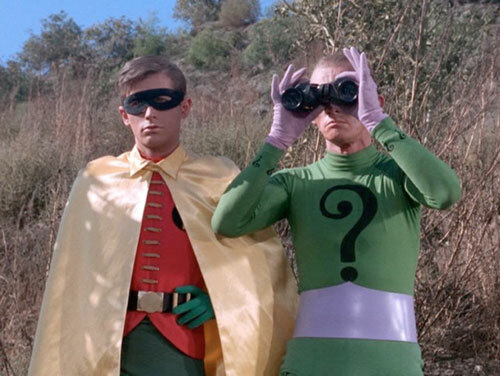 In this episode, The Batcave Podcast’s John S. Drew joins Tim and Paul to look over Semple’s Scripts for Hi Diddle Riddle/Smack in the Middle and Fine Feathered Finks/The Penguin’s a Jinx and examine the evidence regarding Semple’s huge contributions to the series. ALSO: The “Homemade” version of the Hefti “Batman” theme, and your mail!